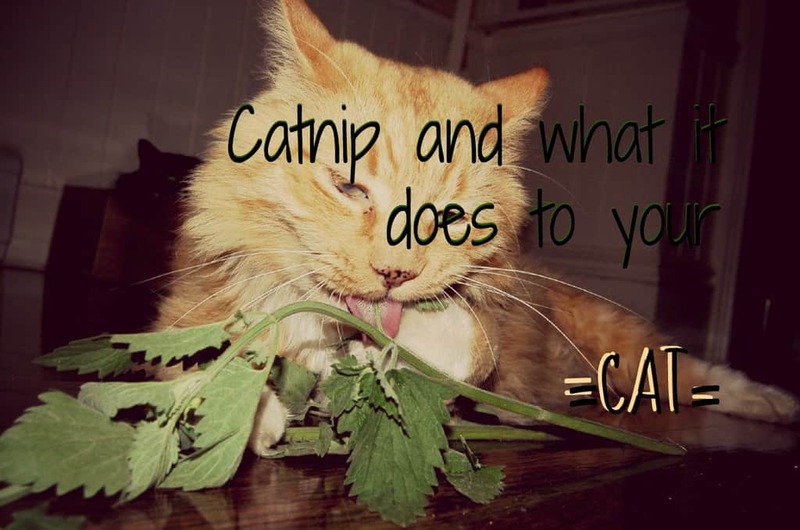 Home > Tips > What does catnip do to your cat ? Catnip: What is it ? Catnip, or Nepeta cataria, originates from parts of Europe and Asia. It contains a feline/cat attractant known as nepetalactone which famously attracts all types of cats (and not just our domestic little furballs). It has several other uses, too such as being brewed as a herbal tea for human consumption, or for repelling some insects like mosquitoes, flies, cockroaches, and termites. The odor that catnip gives off usually affects cats behavior for the following 10-15 minutes. And once this 10 minute euphoria wears off, your cat won’t be able to be stimulated by the aromatic oil released from catnip again for about 2 hours. 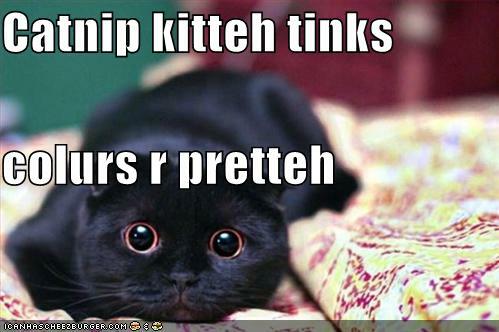 When someone thinks of the effects of catnip on their cat, they usually think of crazy, wild behavior. However, little known to some, catnip can actually have a very calming and blissful-like affect on your cat. And not every cat will experience the same side effects. Actually not every cat will be affected to the herb at all; two out of three cats are sensitive to catnip and it all depends on their genetic code. 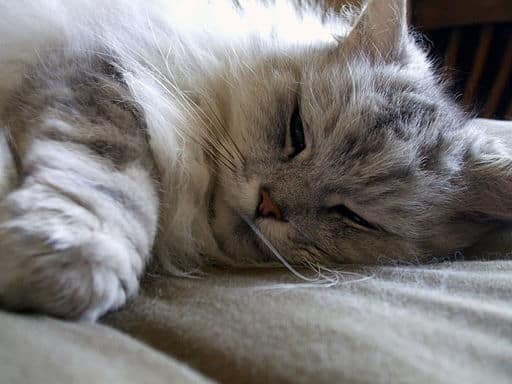 As a cat owner, you will be able to determine whether your kitty is sensitive to catnip after 12 – 24 weeks of age. But if you’re here just to know the basics, don’t worry – catnip is non-addictive and completely safe to eat/chew/sniff/lick. Cats usually bite or chew the plant, stems, etc., to release the aromatic oil which is what stimulates them by latching on to their olfactory receptors. So cat’s don’t chew, bite, or lick the catnip for the taste but rather for the smell it releases. Catnip creates happiness for cats just like cocktails do for businessmen and women or just like what candy does for children. Not sure if those comparisons really compare well, but you get the idea. So what are the benefits of catnip for cats ? Let me put it simply. Yes. Catnip can be used like treats in order to train your cat or to distract him from unwanted behavior. Though eliminating the source of stress is priority when your cat is under stress, catnip can be also used to provide comfort and a bit of relaxation and distraction right after a stressful event (like taking a trip to the vet). If your cat is prone to scratching up your furniture, try rubbing some catnip on his kitty post in order to distract him – he will no longer be interested in that boring ole’ couch cushion. Keep in mind that too much of anything can be a bad thing. Though normal, daily use of catnip is okay for your cat, overexposure to the plant is not. Check out this list of toxic plants for cats that are possibly in your home. I’ll never forget the first time I gave catnip to my Siamese cat when I was little. Already a hyperactive cat, Max went wild for that catnip! His sister wasn’t as sensitive to it, however. And now, our fluffy Yoda is just as crazy for it. 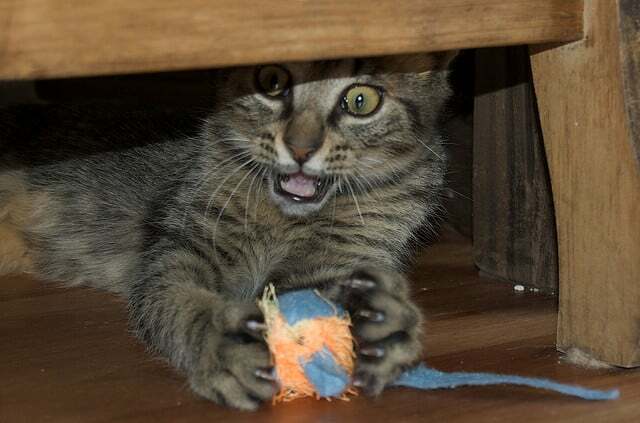 The first time we introduced catnip to him was by a catnip filled little mouse. Immediately he was sniffing all over it trying to get more and more – there was nothing else that could have distracted him except for that catnip mouse! If you’ve never offered catnip to your cat, you must try it! Here are some great products online (very cheap) that over 1,000 people have ordered and are happy with! 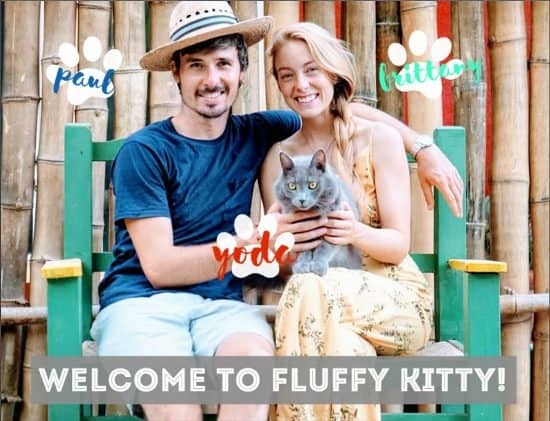 Thanks for reading Fluffy Kitty! Do let us know your questions and comments below or fill out our contact form here. Happy New Year 2016 everypawdy! Don’t forget to check out these products by Kong and give your furiend some fun this year! Next Post Why do cats eat dirt ?